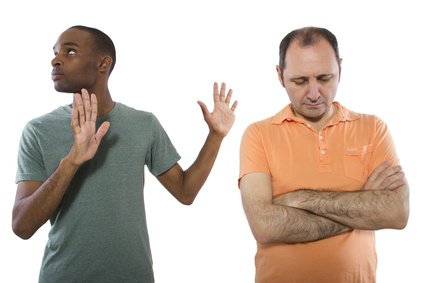 Can gay men be codependent? The answer is yes. Like any relationship, gay relationships can have problems. Sometimes gay men feel trapped in their relationships or describe them as toxic. Sometimes they are just unhappy. When codependency exists between a gay couple, it is time for the partners to change how they communicate with each other. “Aren’t there any decent guys out there?” This is a question that appears time and again on forums for gay men and gay Facebook groups. The irony is that it is in the big gay population cities – London, Manchester, New York, San Francisco, Berlin, Amsterdam, Barcelona etc – that the complaint is so often heard. Men who are dating but say they cannot find a boyfriend or monogamous partner often blame other men for the inability to sustain relationships. But how often are potential gay relationships abandoned because of a difficulties in communication? When there are problems in relationships, the answer isn’t necessarily to leave. It isn’t to play games with your partner either. That’s just revenge or hiding your vulnerability. Whether it is an issue associated with housework or holidays or money or monogamy (e.g. cheating), the question of how to communicate your feelings and understand each other is key. But many guys hold back on their feelings or express them through accusations or withdrawal from their partners. The danger is that potentially healthy gay relationships become toxic and, in the worse case, abusive and characterised by domestic violence. Sometimes guys find themselves in a cycle of toxic or abusive relationships. This is usually a sign that something they are doing is feeding the cycle. To say that isn’t about attributing blame, it is just to recognise that we all have the power to speak up about what we need and to engage with our feelings. Your partner might not be in a position to meet all your needs. That doesn’t mean the relationship needs to end, but it must be acknowledged. Gay relationships where either or both partners are pre-occupied with the needs of the other to the detriment of their own individual emotions or functioning can be described as codependent. You don’t think you would survive without the relationship. Do any of those fit for you? Don’t despair, most couples (not just gay couples) have some degree of codependency. Often men have made compromises with the best intentions of making the partnership work. But what results is a kind of self-sacrifice that does not help the relationship and is damaging to the individual. Learning how to communicate effectively takes time and practice. What some people might describe as a ‘healthy relationship’ is one where each partner can be aware of and sensitive to the other but not neglect himself. How Can Counselling Help Codependent Relationships? Some couples deal with their communication problems by asking a therapist to referee their fight. But usually gay couples counselling can only go so far before each partner has to address his own personal growth and development, particularly his communication skills. To enjoy and be happy in a relationship with another man, it helps to know yourself and feel connected to your purpose in life. So meeting with a gay counsellor individually for advice can be a more helpful step forward. Men, both gay and straight, are not raised to be aware of or describe their emotions effectively. Likewise, a lot of gay men have grown up fighting for their right to be themselves. No feelings are ever ‘wrong’. It is what we do with them and how we communicate them that makes a relationship either healthy or toxic. If you feel trapped in a gay relationship the answer isn’t just to flee. It might be to ask yourself what you are doing that is contributing to the lack of freedom. If you fear being honest with your partner, you might be enslaved to your own deception. Freedom requires honesty and honesty requires trust. At the same time, trust does not involve being a doormat for your boyfriend or husband. Trust can have boundaries as well. Relationships are not easy. The ‘baggage’ we bring isn’t just the hurt from previous relationships, it’s the unhelpful patterns of communication including blaming and taking the position of victim. Start by acknowledging that you have a role in making this relationship healthy. Sure, he is responsible for his actions, but each individual contributes himself to the relationship. If you feel overwhelmed by feelings or stuck about what to do, get some help from outside so you can be yourself in the relationship. If there is any violence, or either individual is at risk of physical harm, do not let that continue. Separate now for the sake of yourself and the other guy. The hardest thing in any relationship is often to show the other person who you really are. Step back a bit and take care of yourself. This is about taking responsibility and not holding your partner to blame for what is happening in the relationship. It is not necessarily about changing him or getting him to change. Real intimacy with another man involves looking at yourself, seeing your own mistakes and fears and facing them. You might not like what you see. It can be difficult to admit to struggling with communication but a solution lies in finding ways to express your feelings and ask for what you need for yourself. Whether you live in a big gay city like Manchester or London, or a smaller city or town in the UK or abroad you can access online counselling for gay men and get advice from a gay friendly therapist by webcam, over the phone or through email exchange.